We are absolutely delighted to announce that three of our students in the Tae Kwon Do (TKD) Enrichment Programme participated in the 1st Kwan TKD Academy Moo Duk Kwan Super Junior TKD Championship 2015 in Cyberjaya on 22 August, and returned with fantastic results! In addition, their trainer and coach, Master Jude Titus and his Scorpion TKD Academy received the OVERALL FIRST PLACING for fielding 15 participants aged 4-6 years old who returned with 5 Gold, 4 Silver and 6 Bronze Medals. 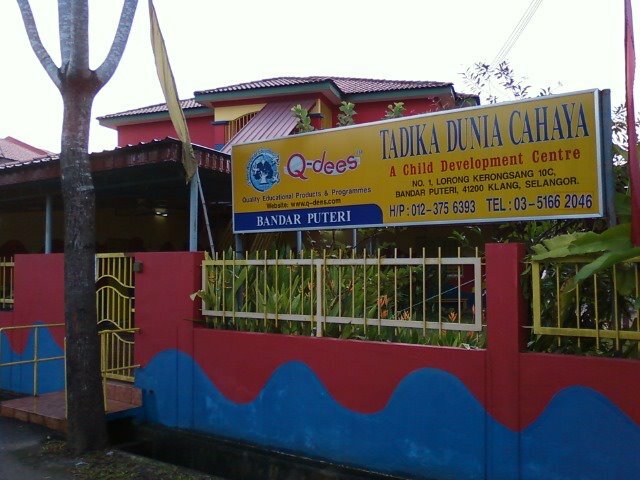 Located in Bandar Puteri, Klang, TADIKA DUNIA CAHAYA is a preschool that makes learning fun and exciting. We have a solid curriculum that prepares our graduates for the challenges of primary school, and a wide range of extra-curricular activities that seek to build children's confidence, motivation and determination to do well. Please refer to the graph below for our graduates' performance in Standard One for the past two years. 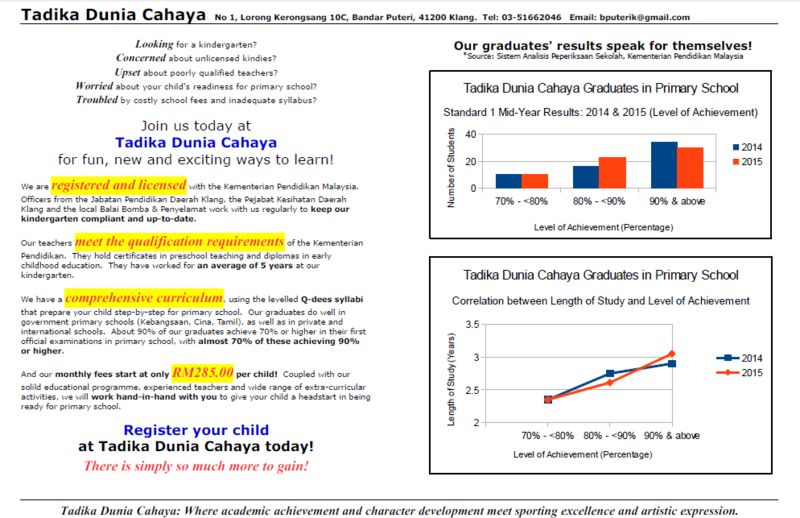 We would also love to have you visit us at http://www.facebook.com/tadikaduniacahaya. That was the best news of this week! I was so happy to know them! So I was a little bit concern about their winning but then I understood that they really deserved it! It stimulates education so much! I read it on one of the articles https://www.abouttimemagazine.co.uk/life/university-survival-guide-essays-and-paper-assignments/ as they could be very useful in some cases! The Karnataka State Taekwondo Championship was organized by the Karnataka Taekwondo Association, KTA that is a nationwide competition opened to students of all authorized Taekwondo coaches and scholars. It was in this reputable Taekwondo tournament, that Greenwood High 9th grader (IGCSE) Arnav Jabulee won a gold medal in the class cadet boys’ pumsae category along with a bronze in the individual cadel boys’ pumsae class. This isn’t Arnav’s the only world of competitive Taekwondo Championships. He has also won 2 gold medals at the 1st All India Open National Taekwondo Championship 2018 that was held in Goa. He also got his first Dan Taekwondo black belt via a program officially acknowledged by the Taekwondo Federation of India (TFI). It was a proud moment for the whole institute as well as for the nation because building records at this early age is a big success. You must see mc2.bid4papers.com/math/ but i think students must follow that kind of content.